A supplier of illicit streaming devices that are pre-loaded to enable the viewing of pirate broadcasts of Premier League football has had to pay thousands of pounds, and cease all future trading of the illegal devices. 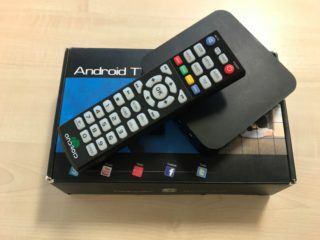 Nayanesh Patel from Harrow, Middlesex, sold Kodi-type boxes on several platforms including eBay and Facebook. In doing so he breached Premier League copyright and has paid £18,000 and agreed to remove all infringing adverts from the platforms, disable access to his website, and cease all sales of similar devices. A second supplier who sold subscriptions to illegal streams of Premier League football via eBay has had to pay £8,000 and cease all such future trading. These actions are part of a wide-ranging copyright protection programme that has included the League successfully obtaining a High Court blocking order preventing illegal streams being broadcast in the UK, working with Spanish authorities to shut-down illegal Internet Service Providers (ISPs), and action in the UK, Thailand, and Singapore against sellers of illicit streaming devices that provided access to illegal broadcasts of Premier League football. The League also recently successfully won a landmark action in the Dutch Courts that requires the illegal hosting provider Ecatel to take down all Premier League material or face fines of up to €1.5m. Premier League Director of Legal Services, Kevin Plumb, said: “This case shows there are serious consequences for sellers of pre-loaded boxes and is a warning for anyone who thinks they might get away with this type of activity.